Recently revised IEPA guidelines require Fox Metro to further improve its award-winning wastewater treatment facilities and enhance its ability to process phosphorus. 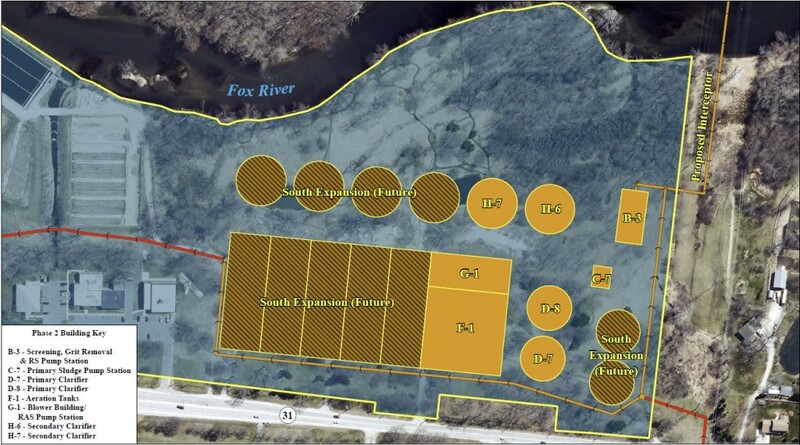 To accomplish this, Fox Metro is building a new South Plant facility on existing District-owned land. The EPA has tasked Fox Metro with reducing the level of phosphorus in the river by 2019. Phosphorus enters the watershed system through fertilizer runoff from farms and lawns, and from human waste through wastewater, which Fox Metro then receives and treats. Within four years, the new plant will eliminate 67 percent of phosphorus in Fox Metro’s discharged water. Construction began in early 2016, and the South Plant is expected to be operational by late 2018.